Locating a forklift rental or a used forklift for sale can be an incredibly time consuming task. Even with the help of search engines and print advertising a person can waste countless hours sifting through forklift companies all claiming amazing deals and amazing products. Forklift Base has simplified the forklift rental and forklift sales process by pre-screening companies across the U.S. to help our customers. Anyone of our locations can provide forklifts for sale, forklift rentals & leases, and used forklifts. Better still is the fact that we have personally screened all of the dealerships to ensure you are receiving the highest level of customer satisfaction. At Forklift Base we know the difficulties that our customers face when purchasing a forklift. That is why in addition for forklift for sale all of our dealerships offer forklift rental options as well. 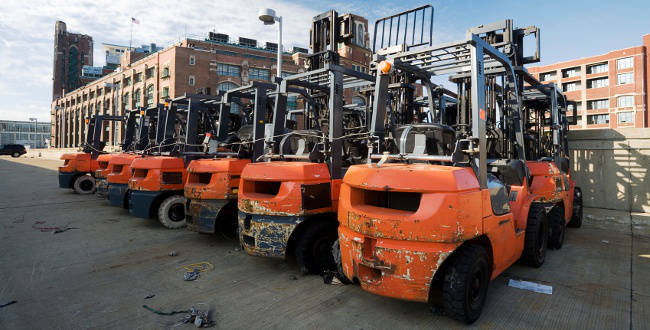 Eliminate the maintenance and upkeep that is traditionally involved with forklift sales and instead rent or lease a forklift and have the forklift company take care of the rest. To figure out the right option for you or your company, give us a call or request a quote today.